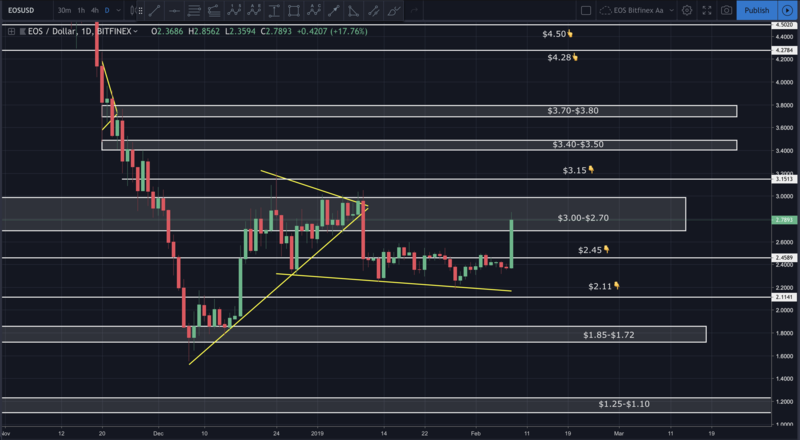 Ethereum bounced nicely off the known $100 phycological support. It’s currently trading around $118. 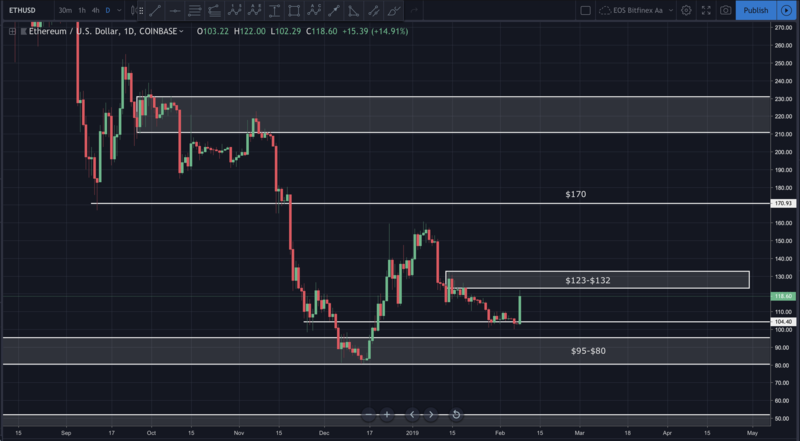 The next major area of resistance is $123 (Bitfinex). 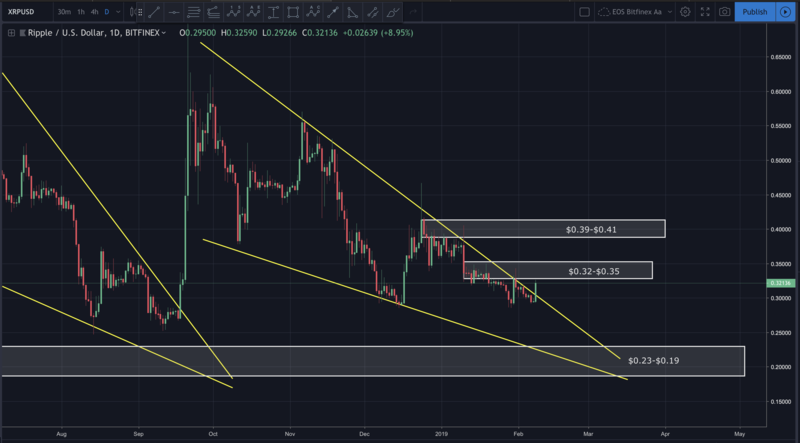 Ripple broke out of it’s falling wedge and found resistance at $0.32. A break above $0.35 would signify a major shift in overall momentum in favor of the bulls. 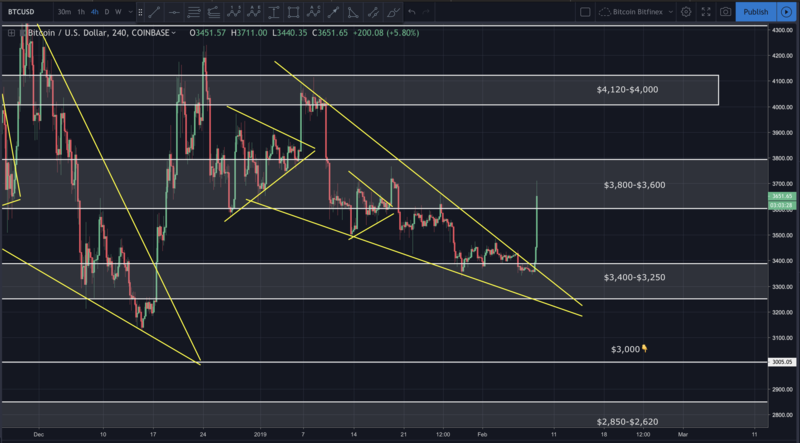 In today’s video analysis I discuss, trade entry and exit points, where prices may be heading next, traps to avoid and so much more. I hope you find it helpful.